You can make this recipe from scratch OR use a brownie mix! Either way, these are really great bars! 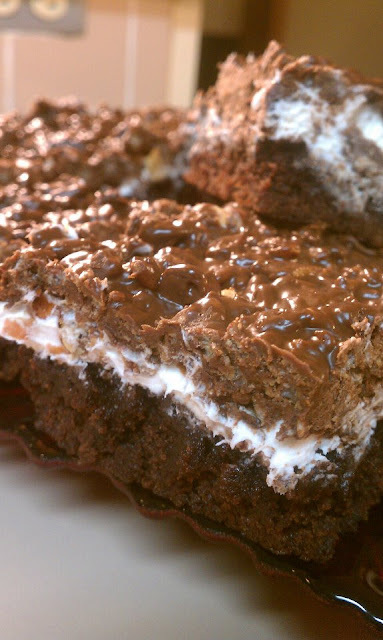 1 box (1 lb 2.4 oz) Brownie Mix (Follow directions on the box) OR Make your own from scratch! Here is my favorite recipe! Pre-heat oven to 350°F. Grease bottom only of 9-inch square pan with cooking spray or shortening. Make and bake brownies as directed on box or from your own recipe. Cool completely. 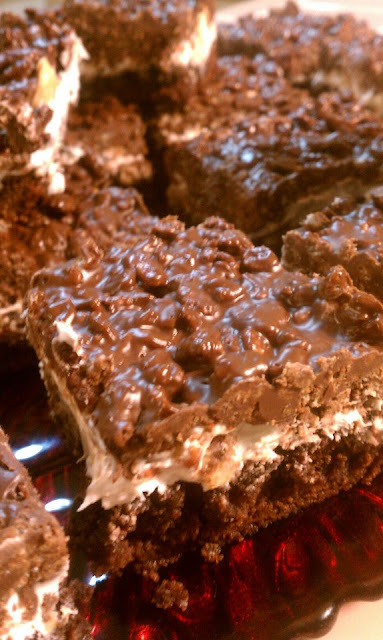 Frost brownies with frosting. Sprinkle with peanuts; refrigerate while making cereal mixture. Measure cereal into medium bowl; set aside. In 1-quart saucepan, melt peanut butter and chocolate chips over low heat, stirring constantly. Pour over cereal in bowl, stirring until evenly coated. Spread over frosted brownies. Refrigerate 1 hour or until set before cutting. For bars, cut into 4 rows by 4 rows. Store tightly covered at room temperature or in refrigerator. Baking with Melissa hosts Baking Parties and Cooking Parties in Los Angeles and the surrounding areas! Find Baking with Melissa on Instagram, Pinterest, Twitter, and Facebook!